TAMPA, Florida, Feb. 5, 2019 /PRNewswire/ -- Through passionate commitment to sustainability, diversity and inclusion, regional economies, and more, business school graduates make a positive global impact. 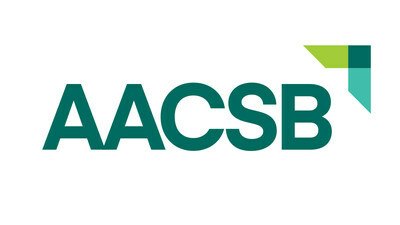 Today AACSB International (AACSB)—the world's largest business education alliance—honors 33 such graduates as its 2019 Class of Influential Leaders. An annual initiative, the challenge recognizes notable alumni from AACSB-accredited schools whose inspiring work serves as a model for the next generation of business leaders. "The diversity of backgrounds, industries, and career paths of the 2019 Class of Influential Leaders demonstrates that AACSB-accredited schools are preparing graduates to succeed as they pursue their passions," said Thomas R. Robinson, president and CEO of AACSB. "We are honored to recognize these alumni, and the business schools that prepared them, as leading examples of business education as a force for good in the world." As the world's largest business education alliance, AACSB International (AACSB) connects educators, students, and business to achieve a common goal: to create the next generation of great leaders. Synonymous with the highest standards of excellence since 1916, AACSB provides quality assurance, business education intelligence, and professional development services to more than 1,600 member organizations and over 800 accredited business schools worldwide. AACSB's mission is to foster engagement, accelerate innovation, and amplify impact in business education. The global organization has offices located in Tampa, Florida, USA; Amsterdam, the Netherlands; and Singapore. For more information, visit aacsb.edu.